Simple and Secure Cycle Compounds. We are proud to offer our modular cycle compound. 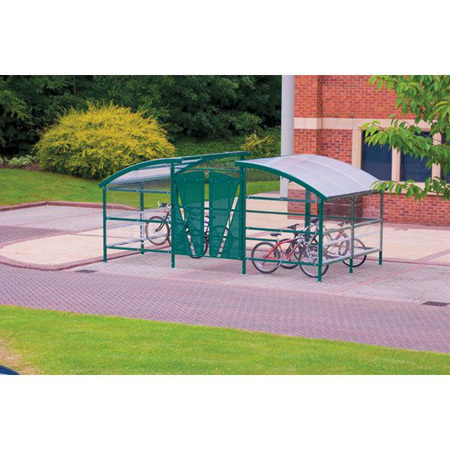 This is a fully covered cycle shelter complete with gates and a hasp and staple padlock. It provides more security than a traditional bike shelter. The secure storage of cycles is becoming more of an issue for schools, colleges and the workplace. 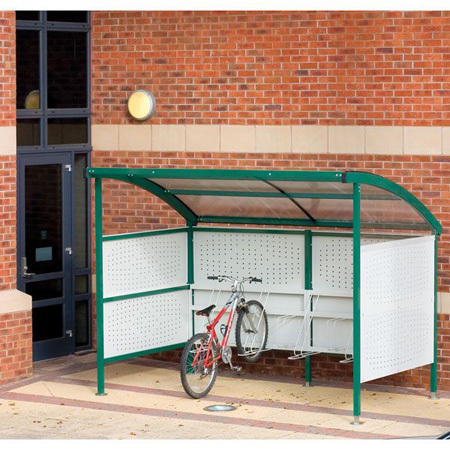 With an additional roof canopy for extra safety, you can be sure of buying a quality bike compound from 3d Lockers. Our bicycle compounds come in three different sizes. In addition, twin level bike racks house 16, 32 or 48 bikes. 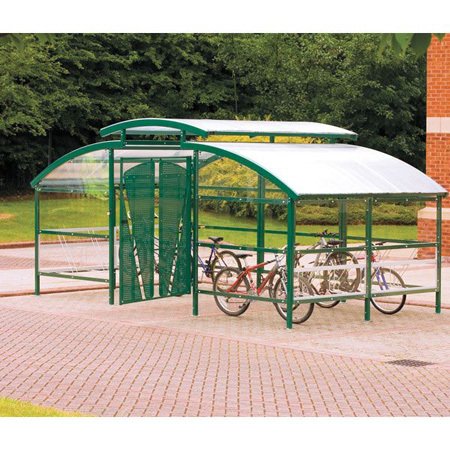 They are also powder coated for improved weather resistance, these bike storage facilities come delivered in knock-down. Ready for bolting onto 250mm concrete and come complete with fixings. Furthermore, we have cycle shelters housing up to 8 bikes. Available in perspex or perforated steel. 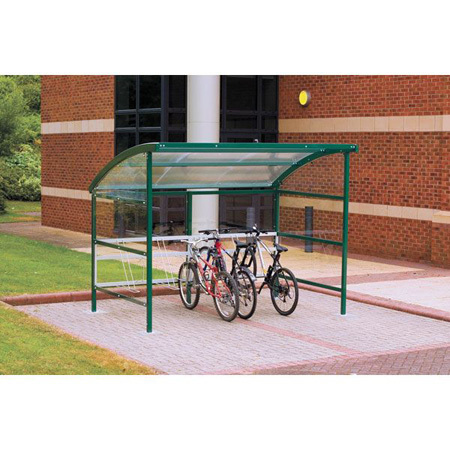 Our cycle shelters are excellent for schools and office car parks.